IM Creator is an example of such a website creator that doesn’t need a programmer’s mind to operate it. If you’re fond of HTML and you feel like that is still the easiest solution, this website creator offers that feature too. What I liked about it is that you don’t have to register; the website is really intuitive too. You can add and customize the features you want by using the menu. Elements such as color or dimension are changeable in a second. You can insert pictures and videos from your personal archives, as slideshows or in other forms of display. Anything you can think of – buttons, links, etc. – is really easy to access and implement, which is very impressive for a free service. This website creator is extremely easy to use, but just in case you have questions about some features, there is a customer support service. The most bewildering thing to me is that you can actually ask web designer who work for them to help you with your website. However, just taking the 60 seconds video tour and reading the PDF manual seem more than enough to get you through the process. If your obsession is in the details but you still like your life on the run, you will love Webstarttoday. 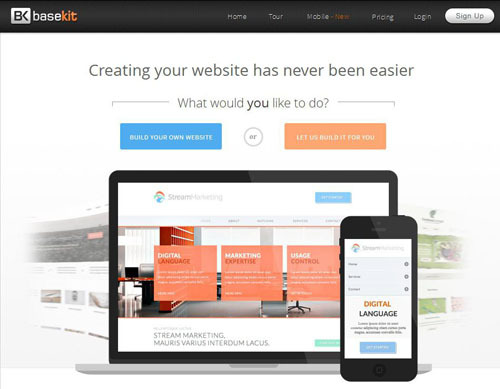 With this website-builder, you can choose from more than 1000 design templates. Every design template comes with its own sub-template where you can choose from very subtle color shades. This is a professional service for those of you who are meticulous with things. You can actually choose from types of templates – from medical websites to travel to entertaining and many more, each of them divided in smaller categories. The next step is adding the content and the website is ready for launch. Speaking of content, you don’t have to worry about how many pictures or videos will fit in there – you have unlimited storage. In case you need help, you can use their 24/7 customer service – SEO included. 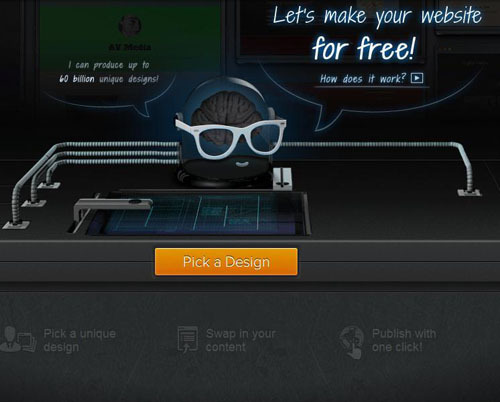 Jigsy is a fast paced web builder, where you get into the workshop right from the first page. You choose a template, a name and your site is up. There is no client to be installed, everything is “up in the cloud”. The free option includes one site, limited traffic, 7 pages and 50 megabytes of storage. The alternative is one premium package that comes at $8.25 per month and includes mostly everything unlimited, as well as dedicated support. MadeFreshly is what I recommend to you if you’re planning on opening an online store, and I’ll tell you why/. This website creator is specifically designed for that, and gets you to the optimal format quicker than others. You won’t have to follow the same steps you are supposed to when creating, let’s say, an entertainment website, it gets you straight to the point. 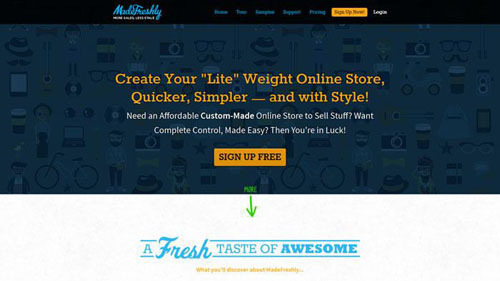 MadeFreshly is smooth and easy and offers you nice-looking design options. What I like most about it is that I can first add whatever I want to sell and then choose the design, based on what works for my particular product. There are free templates for you to use which you can customize as you please. Another positive point comes from the integration of services such as Google Analytics, mobile support or promotion. If you are a professional designer and can’t find the right website builder with tools that are up to your high standards of design, it’s probably because you haven’t tried Webydo. With Webydo, you’ll be able to manage multiple clients and websites with ease using its dynamic CMS and personal login page. Webydo was designed this way because it was made by designers, for designers. Branding is a key element for any designer. Whether you own a large company or you are a freelancer, your brand is your identity, so here you will be granted with your own login page, displaying your own logo, so your clients will be able to log-in directly to their websites, in order to manage content, without having to go through Webydo at all. 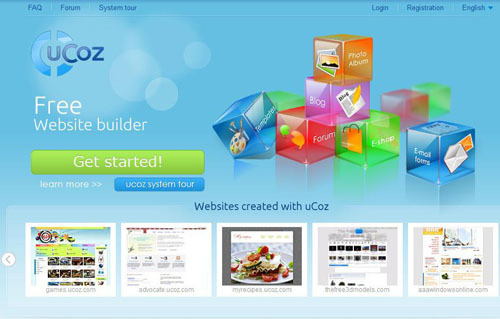 If you want to build a professionally-looking website with rich functionality uCoz website builder can be your optimal destination. It offers everything you need to construct an amazing website in a matter of minutes without writing a single line of code. What’s more – you can do this without spending a dime. This is to say you risk nothing when signing up to uCoz – the only possible risk is to leave with a ready website :). So, what makes uCoz stand out among other similar platforms? First of all, their feature-laden free package (you can even use your custom domain within this package). Secondly, their extra convenient modular system: just add, edit and modify the modules you need to broaden your website functionality (forums, blog, chats, etc.). Thirdly, their knowledgeable technical support and friendly Community Forum. BaseKit is a service rich in features and different customizing options. Basic membership includes basic templates and a free sub-domain. Customer support includes FAQ’s along with tutorials and video. For speaking to someone, e-mail and chat options are available. The support functioning hours are 9:00 to 19:00 GMT. 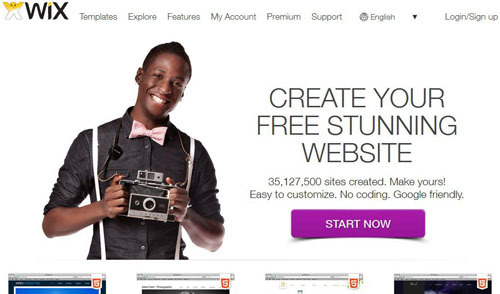 A veteran of webdesign for non-programmer, Wix is one of most used and appreciated service of this kind. More than 35 million websites have been created through it – this number has to count for some value, right? 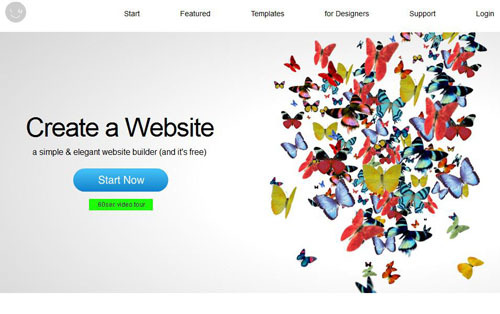 This website-builder offers numerous simple and professional-looking design templates and SEO optimization, for free. Wix offers everything you need when creating a website and makes customers return to it over and over again. No wonder it’s still a standard for this type of services. 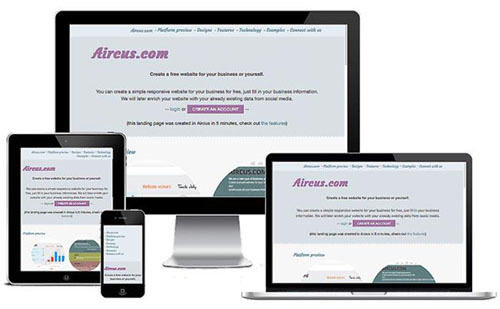 Aircus is a pretty modern website builder. Its design options resemble the way most websites are built nowadays: bicolor platforms, minimalistic, geometric fonts. If I were to describe it in two words, I would say Aircus is simple and fast. It’s actually so fast that you can lay the foundation of your website in 1 minute…from your phone! If you value your time and believe that “less is more”, this website-builder is ideal for you. There are not many options to choose from when picking the template or other features, but it is up to you if it’s something you’re looking for in such a service or not. The final product made with Aircus will look professional and subtle. 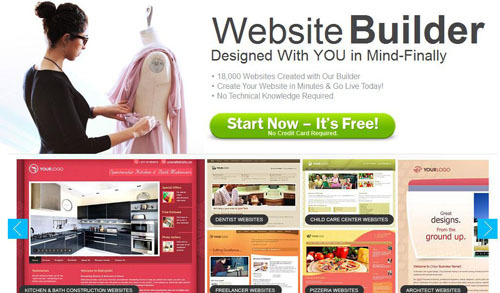 Breezi is another website-builder that entered this competitive market by bringing something more to the table. There is a search engine on their homepage through which you can shortcut your way into getting the design you want, without browsing through thousands of options that you wouldn’t even consider. Every search you make leads you to a large set of options that is closer to what you’re looking for. Elements such as color, fonts and others are also available in the menu. Webydo and Squarespace are my favorite website creators. I prefer to work on a blank canvas so Webydo is better for me, personally. Webydo also has a separate CMS for clients (you just send them a link and they can update things without messing up your design), so that’s a huge benefit for designers. 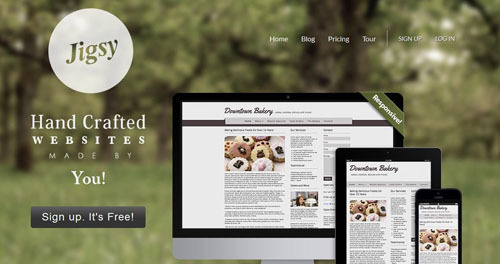 For people who just want to modify a template for a simple website Wix is a great option too.